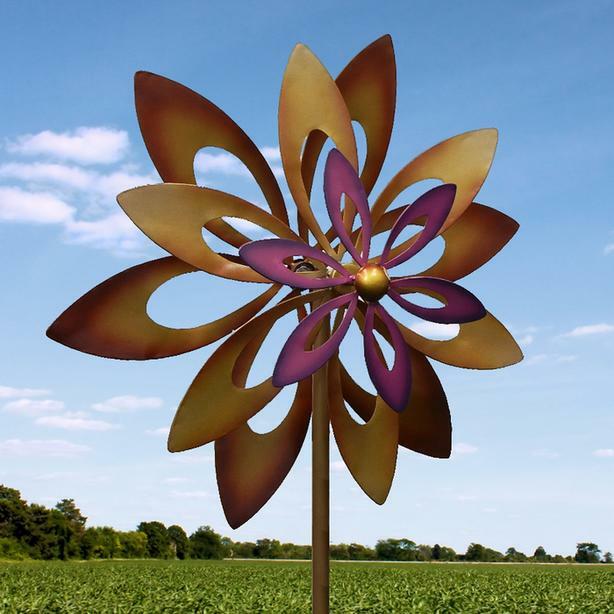 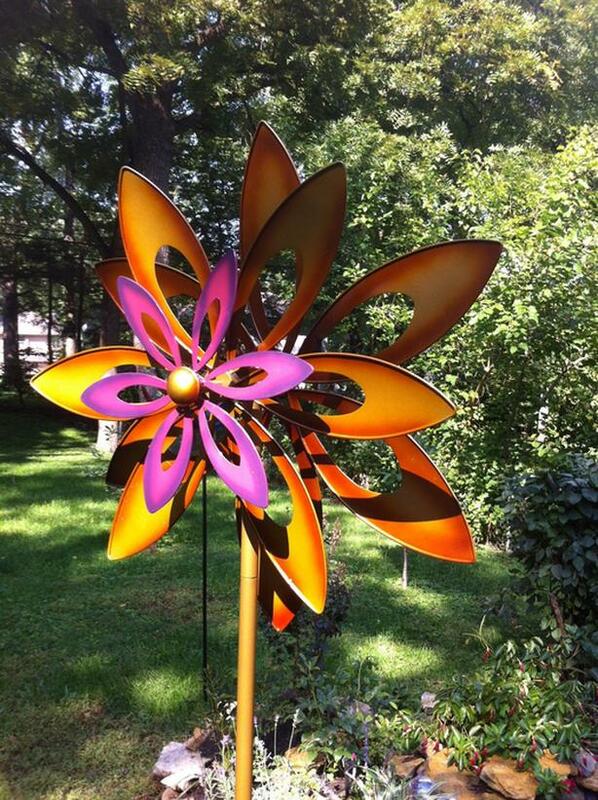 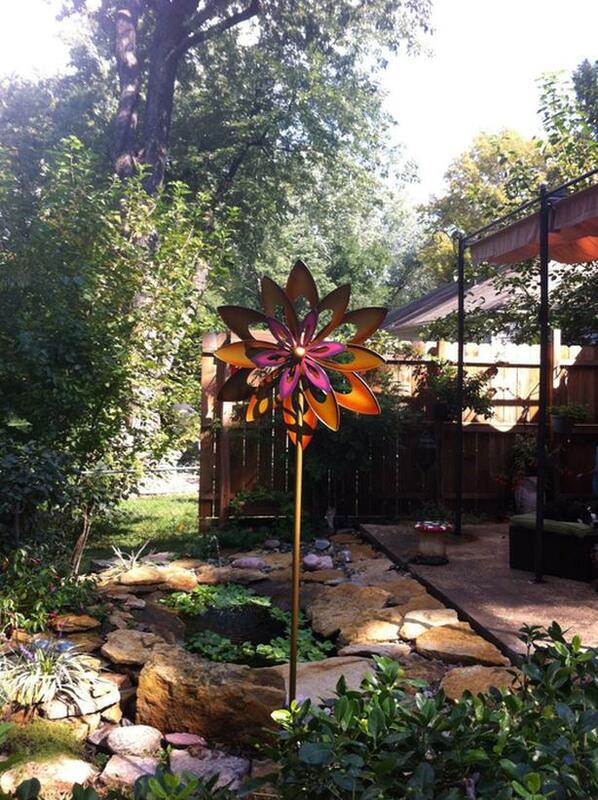 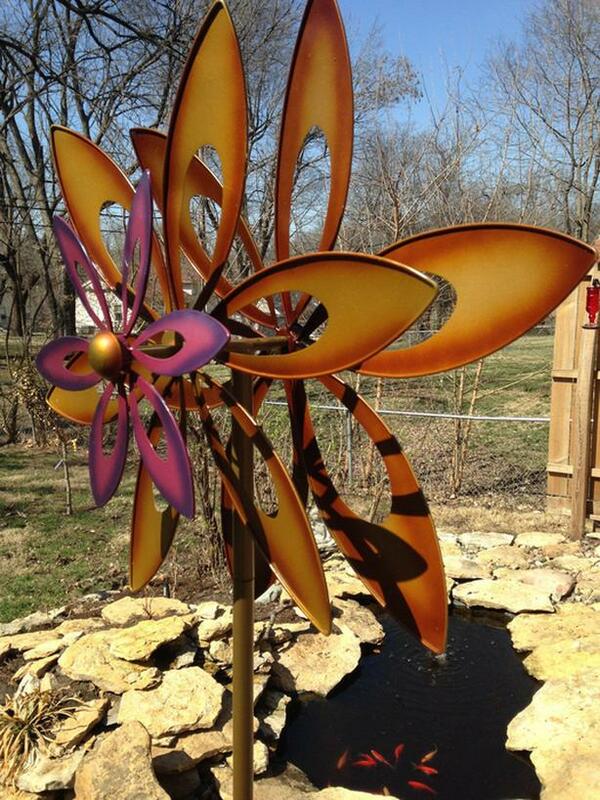 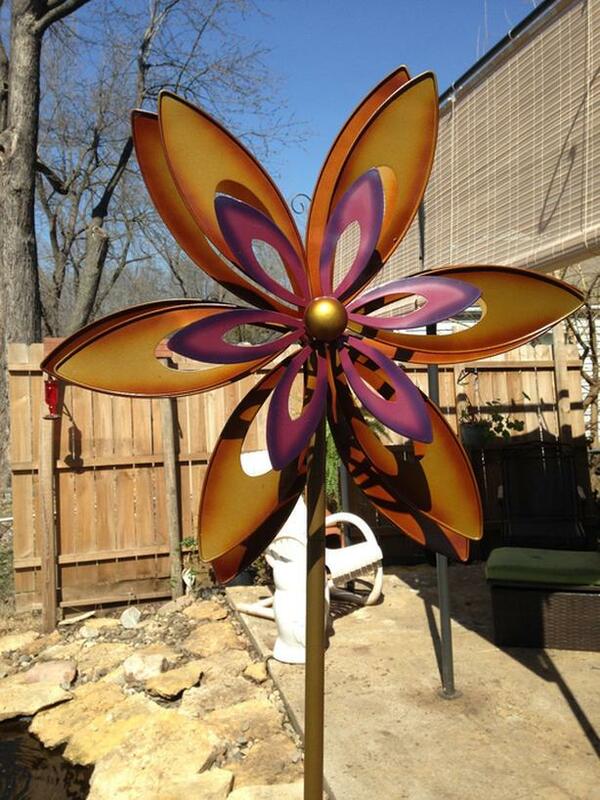 Add a flurry of movement & intrigue to your yard & turn any breeze into a mesmerizing dance of form & motion with this colorful, oversized, sunflower-shaped, metal wind sculpture featuring two large rotating shapes (one clockwise & the other counterclockwise) and a smaller front flower shape that is a more stationary decoration. 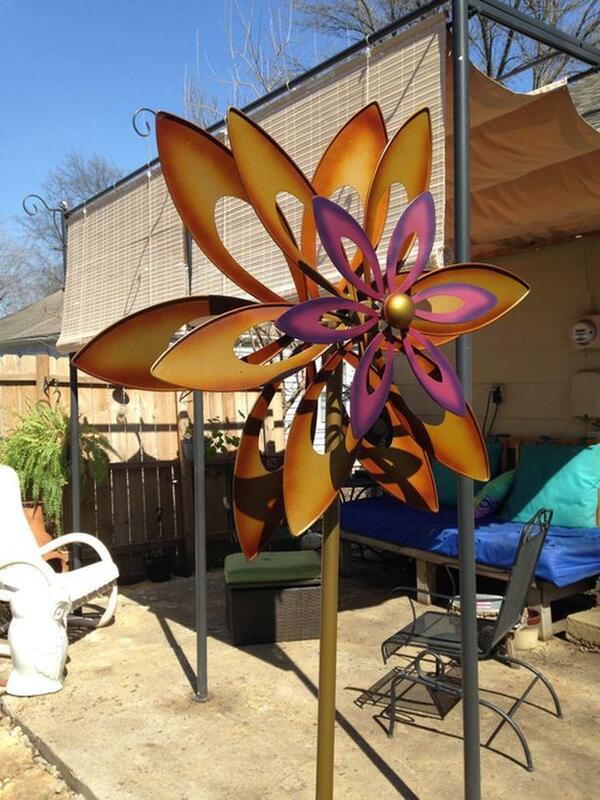 It's 26" x 10" x 84" tall (weighs 11 lbs.) 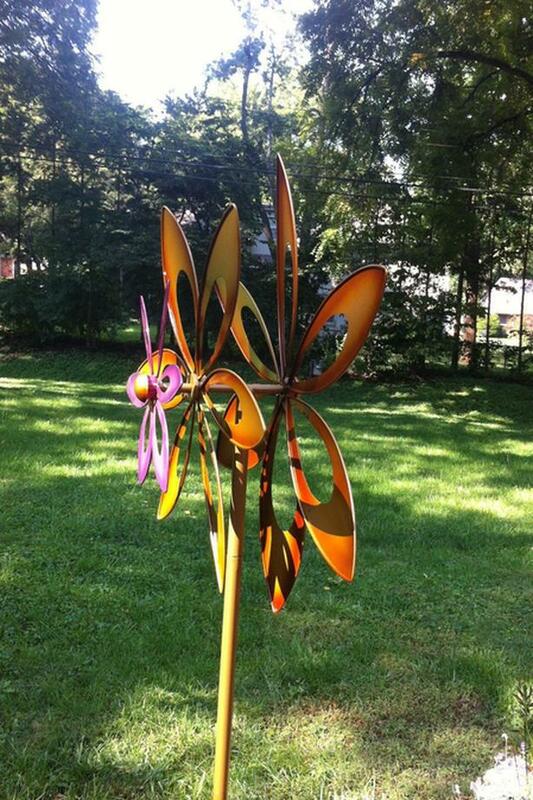 & can be made shorter by taking out the middle stake. 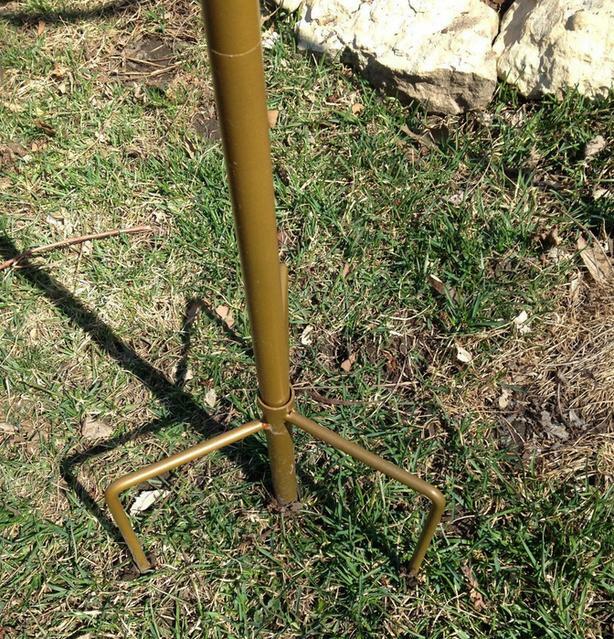 It's a pretty gold & purple color & its stake bottom has three prongs for easy placement & stability.